When most people think of Walt Disney World they think of the four main theme parks and the two water parks associated with the resort. However, there is even more to do and see at Disney than what one can find in the theme parks – much more! 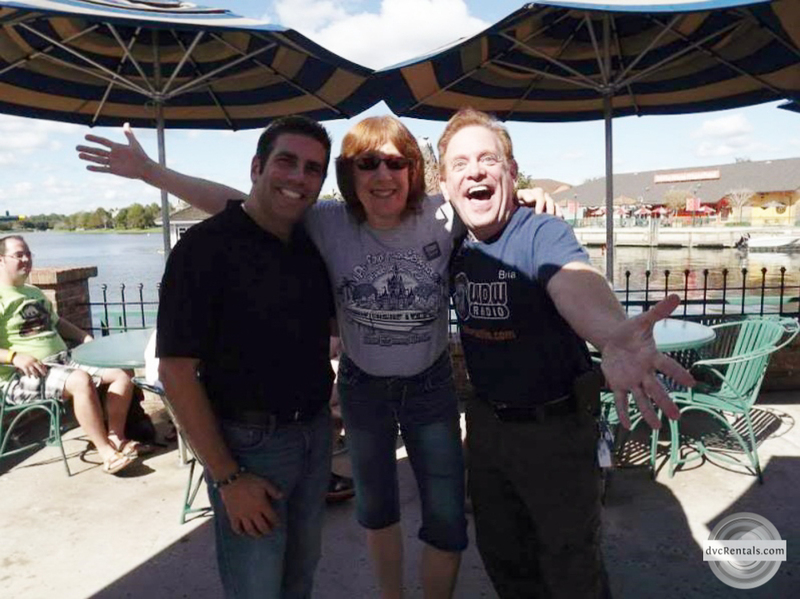 This blog is going to focus on what to do and see on an “non-park” day. For the most part the items discussed are free or have a small cost. Many Guests enjoy “resort hopping” – going from one resort to another, checking out the different themes of each. 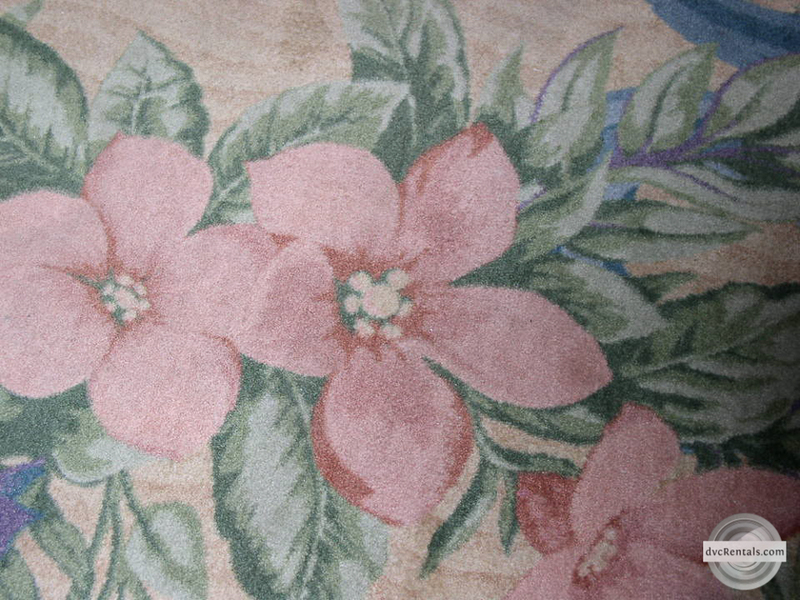 Each resort has its own unique feel and you’ll often see things that can only be found at that particular hotel. For example, the Polynesian resort has a distinctive Hawaiian feel, complete with tiki gods and plenty of hibiscus flowers. Pop Century focuses on the culture of the various decades from the 50’s through the 90’s, with gigantic icons displayed from each of the decades. Port Orleans French Quarter has a Mardi Gras theme, while its “sister” resort, Port Orleans Riverside, gives you the feel of living out on the Bayou. 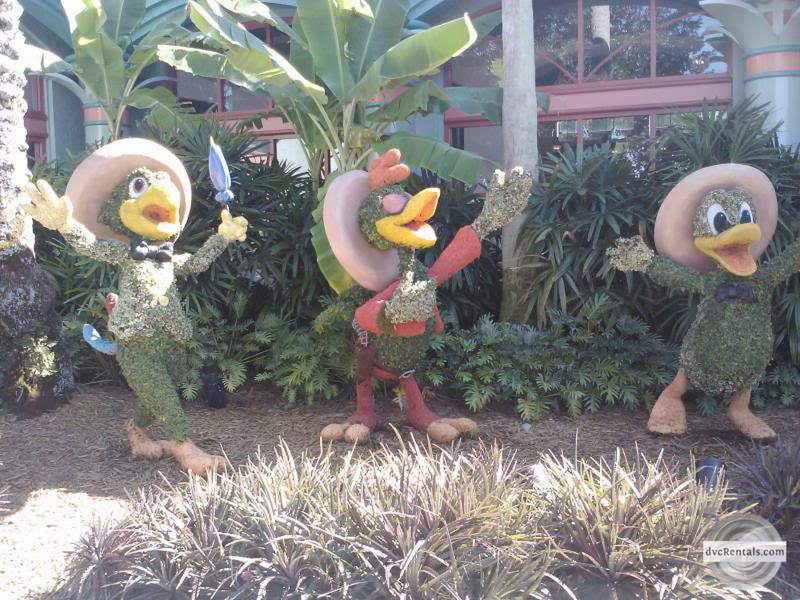 Did you know Coronado Springs has a topiary of the Three Caballeros? 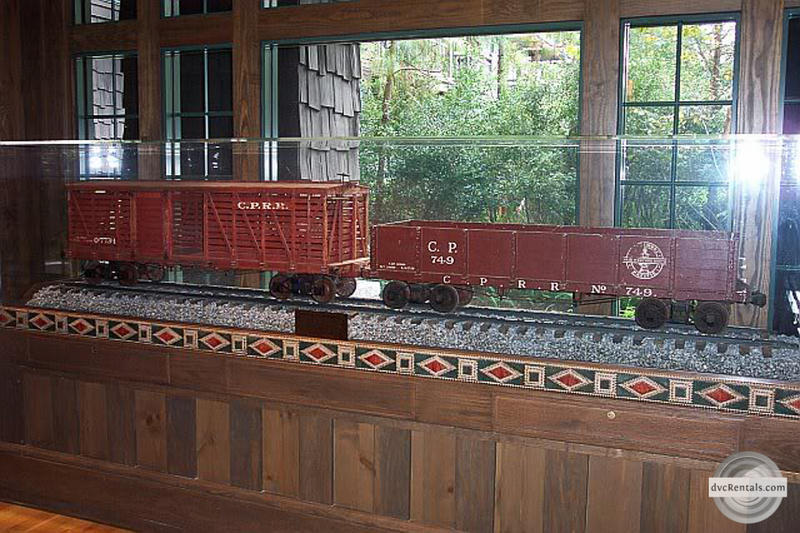 Wilderness Lodge has one of a Buffalo and also has a room completely devoted to trains. If you have a car and tell the guard at the gate you want to look around the resort they will usually let you park there, although sometimes they will give you a time limit. During very busy times like during the Food and Wine Festival, you will more than likely not be allowed to park at any of the Epcot resorts, and if there are any special events associated with a particular resort you might be refused entry by the guard. 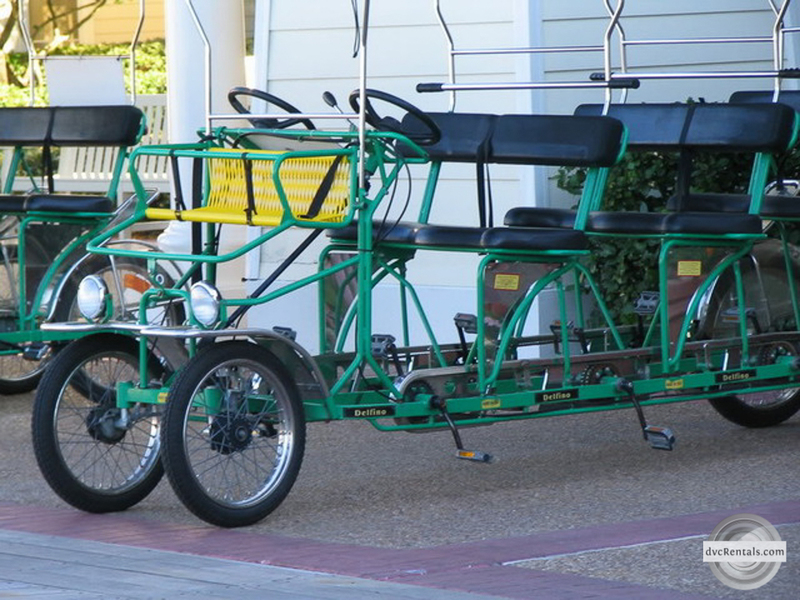 The one way to be sure to get from one resort to another is to use Disney transportation. It’s simple enough to park at the Transportation and Ticket Center and get on the resort monorail to visit the Polynesian, Grand Floridian and Contemporary resorts. But to get to most any other resort (without a car) you’ll have to use one of the theme parks as a “hub”. For example, if you start out at Boardwalk and you want to visit Pop Century you’d need to go to Epcot or Hollywood Studios and then take a bus from there to Pop. The good news is that usually the moderate and value resorts will allow parking on all but the busiest times of year. There is no charge to park at moderates or value resorts. Deluxe resorts have self-parking or you can valet at $25 (if you do valet it’s good not only at the deluxe resort you parked at, but also at any other deluxe resort that day, so save your receipt). The time it’s most fun to resort hop is during the December holidays. 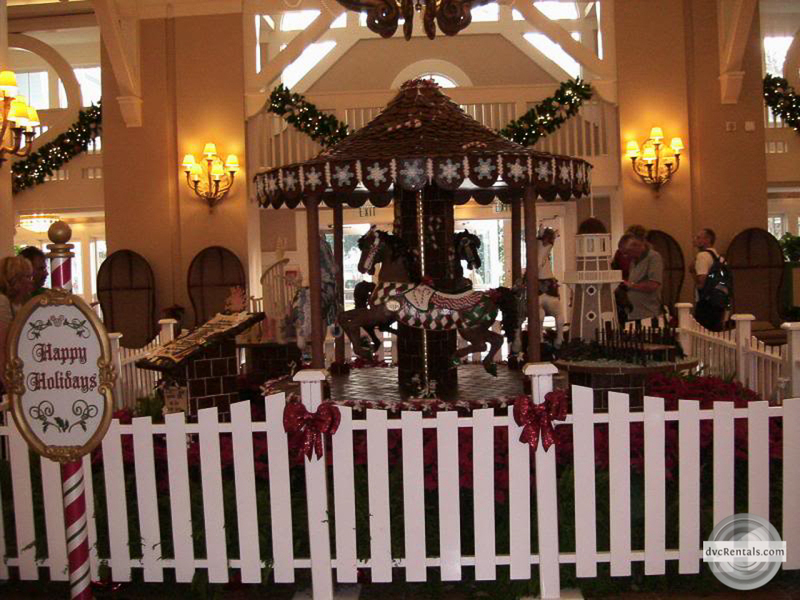 Not only will you see the different resort’s themes, they will all be decorated beautifully for the holiday season. Visit Jellyrolls on the Boardwalk: Here you will find “dueling” piano players who take requests from the audience, and the audience is encouraged – often cajoled – to sing and dance along to the music being performed onstage. There is a cover charge of $12 per adult, but once inside you are not pressured to buy anything. 21 and over only, alcohol is served here and there is a limited food menu. Open every night 7PM to 2AM. 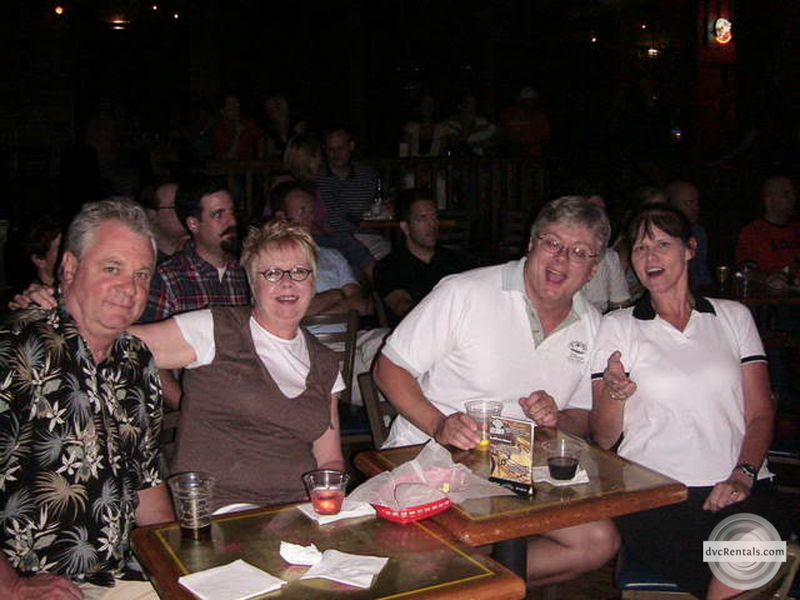 Jellyrolls is really a fun spot to go with a few (or more!) friends. It’s the sort of place that is most fun when it’s crowded. 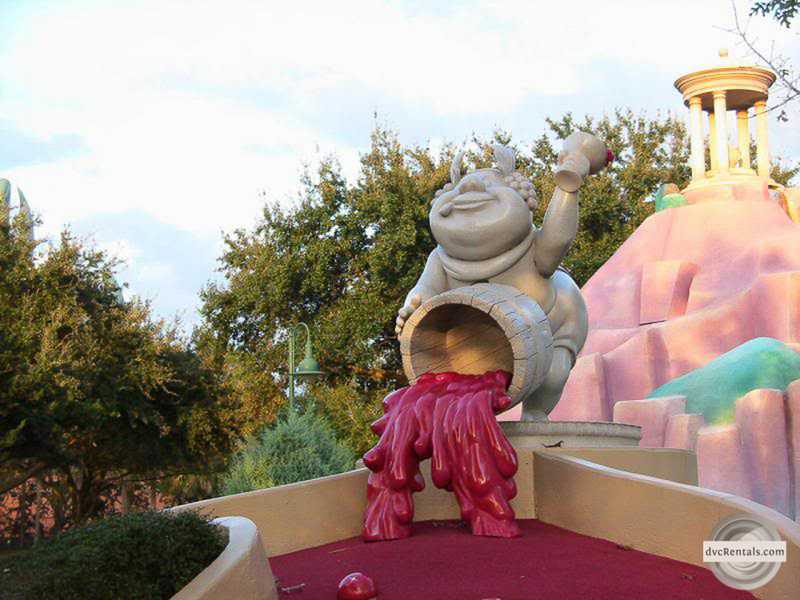 Play some Miniature Golf: There are two themed courses at Walt Disney World. 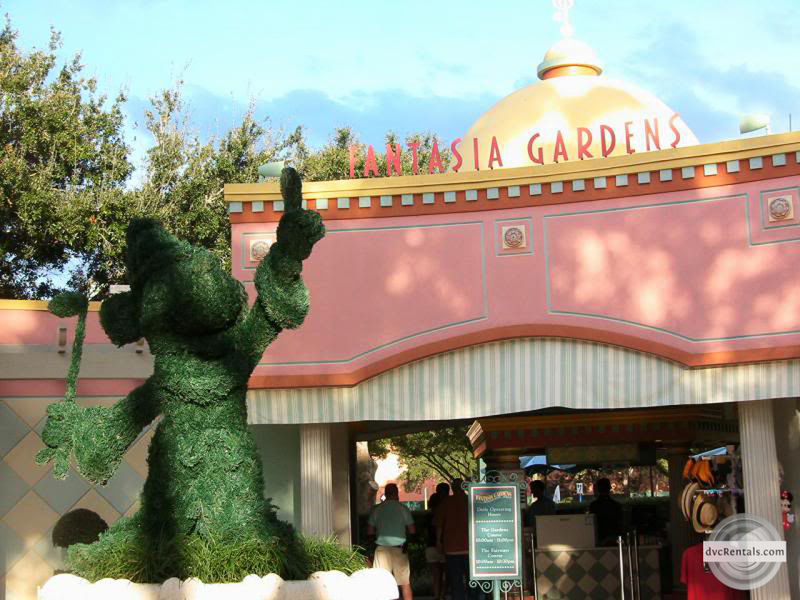 “Fantasia Gardens” is located within easy walking distance of the Boardwalk resorts (or you can drive there, they have a nice sized parking lot) and, as you may have guessed, it is themed on the Disney movie “Fantasia”. Each hole is cleverly designed, and the course is full of surprises, focusing on the many characters and scenes from the movie Fantasia. There is also a more difficult course at this location for more serious golfers, advertised as a “real” course built on a miniature scale. The other themed miniature golf course is located near Typhoon Lagoon and is called Winterland Summerland. There are two family friendly courses here, each themed after the time of year in the name of the course. To get there, take the bus to Typhoon Lagoon and walk over. It’s a very short distance. The fee for either mini golf location is ages $12 for ages 3-9, and $14 for over 9. 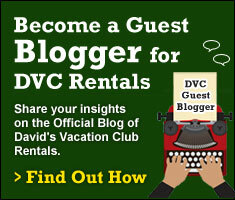 Ask about Annual Pass and DVC discounts if you have are eligible for either. Exit 68 (Rte. 535). Left at light onto Route 535, left at next light onto Vineland Avenue at Little Lake Bryan; proceed 1 mile. Exit 68 (old 27). Proceed straight across light at end of ramp onto Vineland Avenue; continue 1 mile. Visit Disney Springs: While of course there is tons of shopping here (including the world’s largest Disney store “World of Disney”), there are also a LOT of free and interesting things to do and see. Both day and evening (but especially on weekend evenings) there are talented musicians playing all over Disney Springs. They are, for the most part, outdoors, so you can listen at no cost. There are many relaxing places to sit and take in the atmosphere. If you like to walk, it’s a very nice place to simply stroll around, people watch, window shop, etc. Among the other things you may see: artists doing portraits, Cast Members doing yoyo tricks (hoping you will buy one at their kiosk), parades of Disney princesses (little girls that just had themselves done up at the Bibbity Bobbity Boutique) and much more. To avoid crowded parking structures take Disney transportation, especially on a Friday or Saturday night. 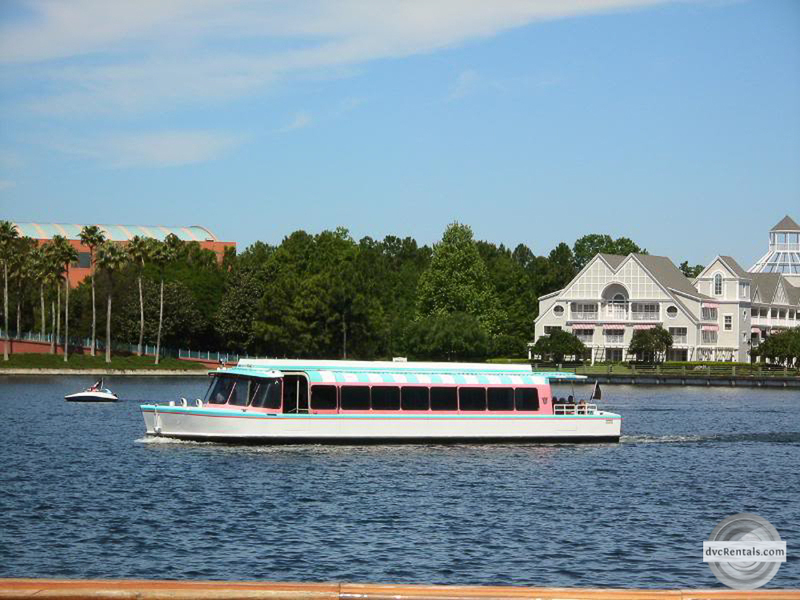 If you are staying at Saratoga Springs, Old Key West or Port Orleans you can take a boat to Disney Springs. You can even walk from Saratoga Springs or Old Key West. Those staying at other resorts need to hop on a bus. 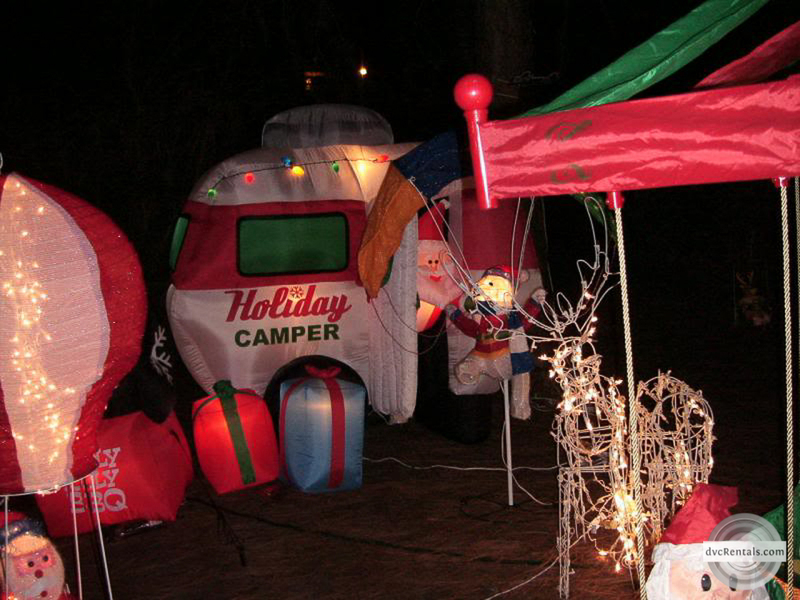 Visit Fort Wilderness: Although this is especially cool during Christmas when the RV folks have their campers all done up for the holidays, it’s always a great place to visit. There is a horse barn where you might be lucky enough to see them shoeing the horses they use to pull the trolley on Main Street in the Magic Kingdom. There are (for a fee) pony rides for kids and trail rides for adults, fishing, boat rentals and biking all available at Fort Wilderness. There is a free exercise trail. But the BEST freebie is Chip ‘n Dale’s Campfire Sing-A-Long. You do not have to be staying at the fort to take advantage of this fun event. Check for exact start time, it varies depending on time of the year. You can find it near the Meadow Trading Post in the campfire area (ask a cast member to direct you). 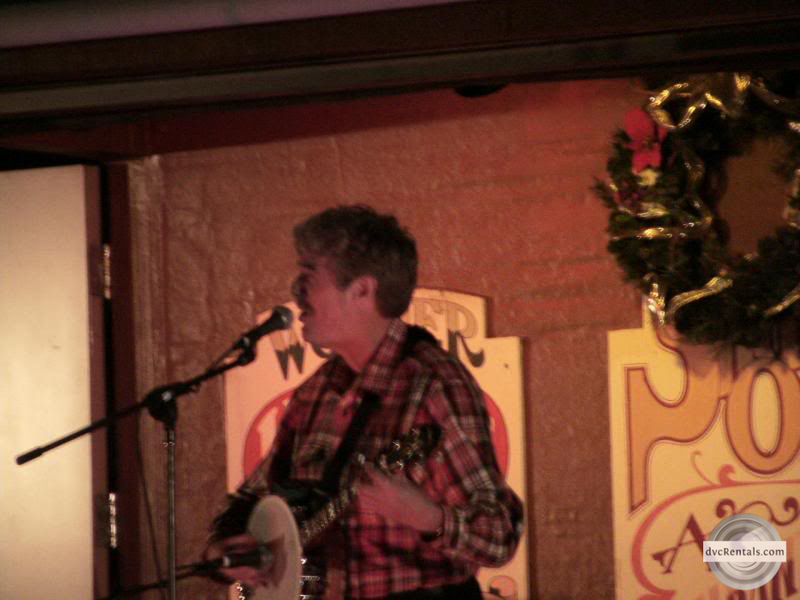 A Cast Member begins the evening by singing popular songs and inviting the audience to join in. Along with the singing there is a marshmallow roast. You can bring your own or purchase them when you arrive. Other food is offered for sale. Chip and Dale come out to greet Guests, pose for pics and sign autographs. Once the campfire ends they will play a Disney Movie for all to enjoy. 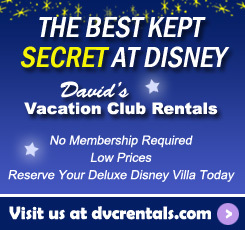 (Most resorts show movies nightly for no additional fee. 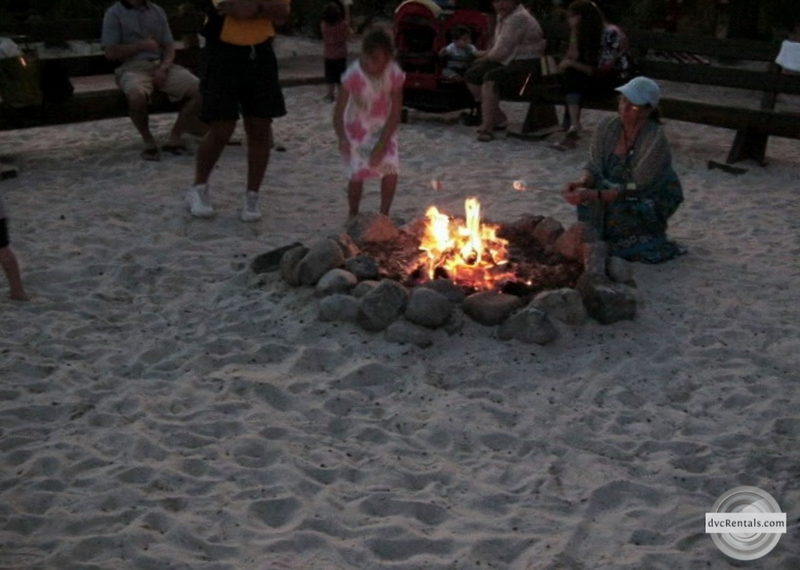 Many also have campfire nights. Inquire at the front desk for times and days, often the resorts will have an activity sheet to give out so you can see what’s being offered while you are visiting. You can view the current month’s resort activity schedules here.). 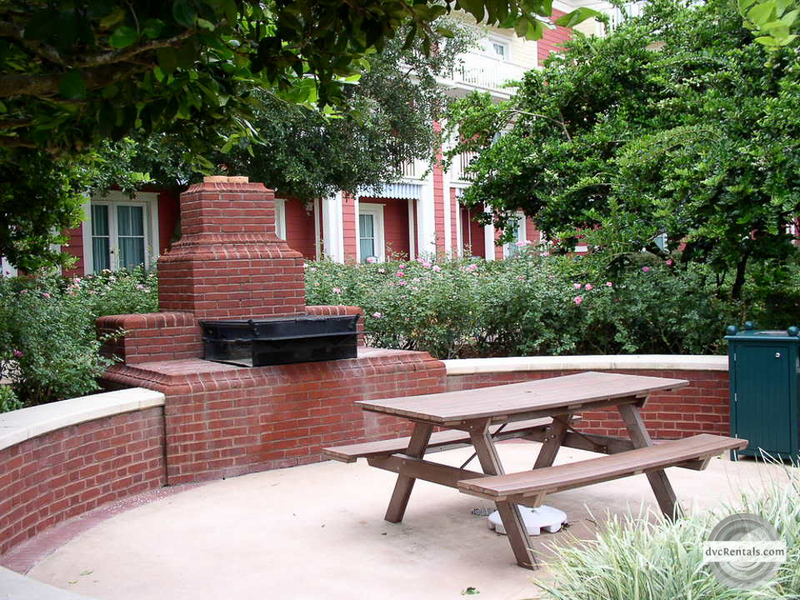 Have a BBQ: At Disney Vacation Club (DVC) resorts you will have access to a barbecue pit. You have to supply the charcoal and the food but it can be a lot of fun to “cook out” at Walt Disney World. All the DVC resorts have a pit. 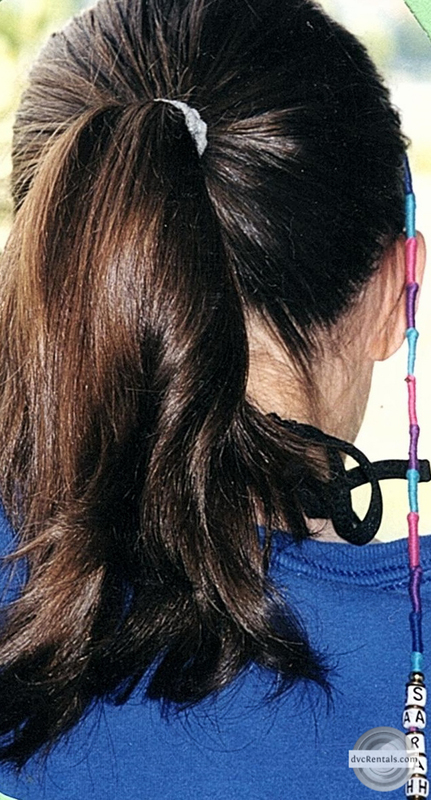 If you’re not sure where yours is located inquire at the front desk of the resort. 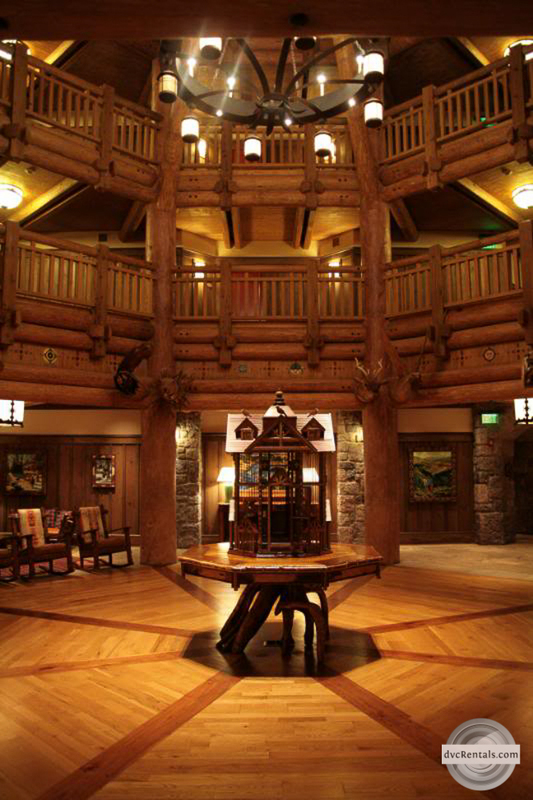 Visit a Community Hall: Not every DVC resort has a community hall but if yours does it’s definitely worth checking out. Most activities (ping pong, video games, air hockey) are free, although a few craft offerings have a small fee. You can borrow DVDs for your villa here at no charge. They will usually have a sign indicating what’s available that day (i.e. games in the pool area). 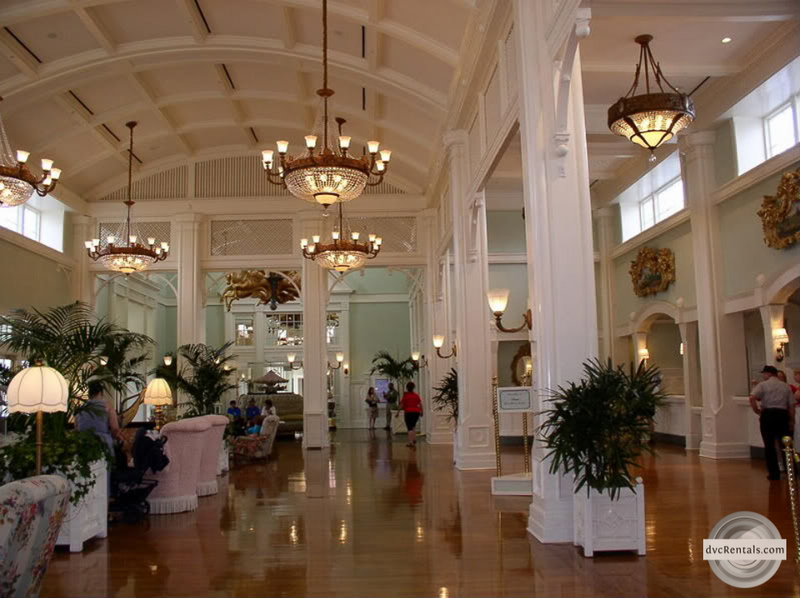 Resorts that have a community hall are Boardwalk Villas, Old Key West, Saratoga Springs, Bay Lake Towers and Animal Kingdom Lodge. 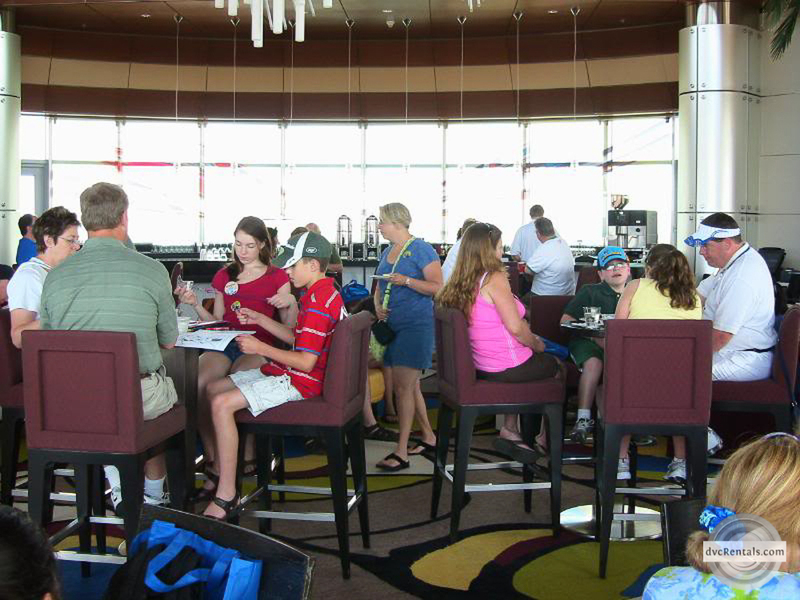 DVC members are eligible to visit the Top of the World Lounge at Disney’s Contemporary resort. 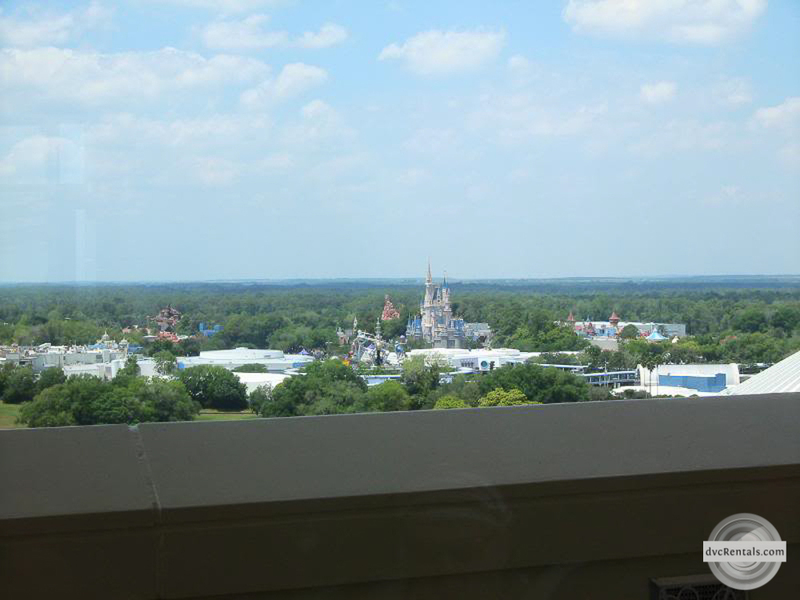 There is no fee (unless you want to buy food or drink), and you get a great view of the Magic Kingdom from this vantage point. Many guests enjoy visiting during the Wishes fireworks show. If you are not a member but are renting points at Bay Lake Tower, you may be able to gain access to the lounge as a guest of a member. Take a boat ride: Although the various marinas around Walt Disney World will rent boats for a fee, there are a number of nice boat rides that cost absolutely nothing – the Ferry from the transportation and ticket center to the Magic Kingdom; the boat from Wilderness Lodge to both Fort Wilderness and the Magic Kingdom (watch the signs to be sure you don’t get on the wrong boat); the boat from the Magic Kingdom to the Polynesian and Grand Floridian resorts; “Friendship” boats to and from Epcot and Hollywood Studios (stopping at the Swan/Dolphin, Beach Club and Boardwalk on the way); and my personal favorite… there are four different boat routes to and from Old Key West, Port Orleans and Saratoga Springs, all along the picturesque Sassagoula River. 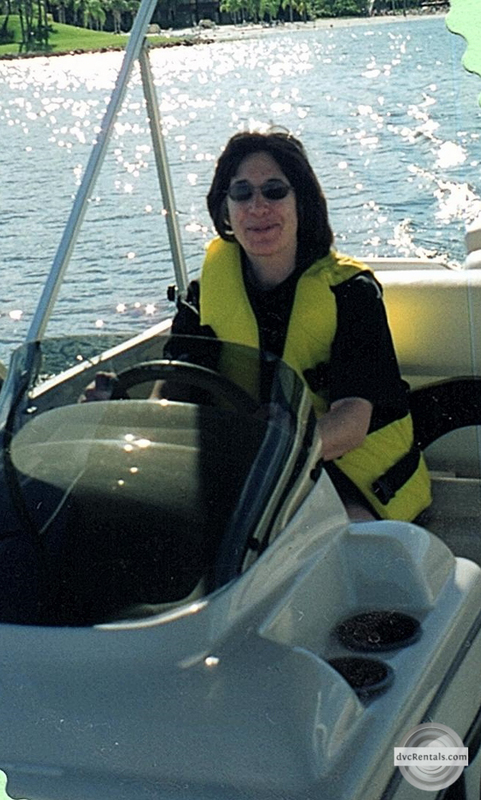 Tour a Resort: Not all resorts offer this but the ones that do are free, fun and very informative. Ask at the front desk for times and details, as of this writing tours are available at Old Key West, Boardwalk, Grand Floridian, Animal Kingdom Lodge and Wilderness Lodge. 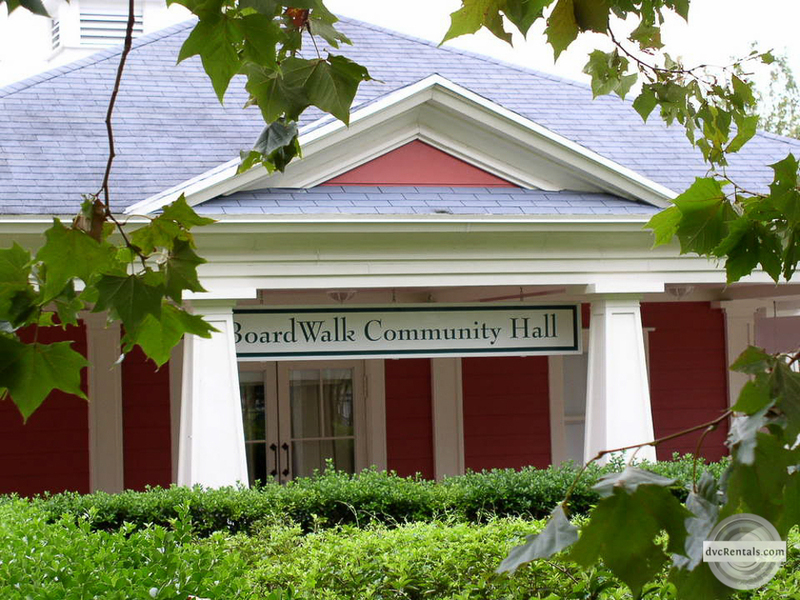 Go visit the Boardwalk area: The options here are plentiful. At night watch entertainment out on the boardwalk, usually from about 7 to 10PM. Walk down to the bridge that connects to Beach Club and watch Illuminations for free every night at 9 – you won’t be able to see the globe inside the Epcot lagoon, but you’ll see the fireworks and hear all of the soundtrack. Other offerings here have a fee: hair wrapping, caricature painting, funnel cakes and of course the shops and eateries – of which there are many. Boardwalk Bakery (baked goods and sandwiches) and Ample Hills Creamery (ice cream) are both very popular and serve delicious goodies. 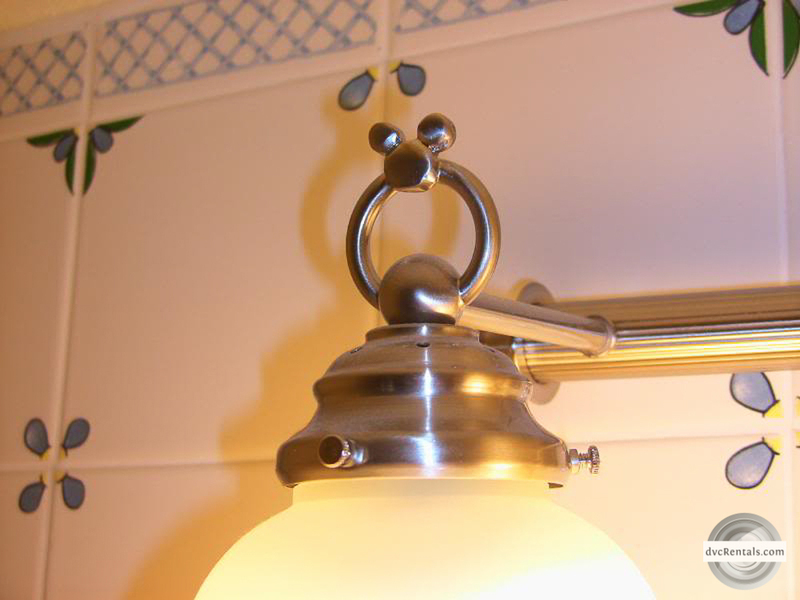 Search for Hidden Mickeys: They are NOT just in the parks. The resorts, Disney Springs, Golf courses, and just about everywhere on Disney property has hidden Mickeys – some very obvious, some a lot more obscure. It’s always fun to spot one. I hope this blog has given you some fun options that won’t break your bank and has opened up some ideas you might not otherwise have considered or thought of. As wonderful as the theme parks are it’s nice to take a different approach now and then. The magic is everywhere! One thought on "Walt Disney World Fun Outside of the Theme Parks"
We an on going to Winter Summmerland golf for a bit.